This week’s planned (g)ramble has been put on hold because of the week’s events. This week one of music’s most influential figures has pegged it. Yes, Stewpot has popped his clogs. Who? Stewpot. That was Ed Stewart’s nickname. Okay, okay, somebody else died, as well. Before we get on to discussing the other bloke, what can I say about Ed Stewart? Umm... not a lot. He seemed to be a presenter of children’s programmes such as Crackerjack. CRACKERJACK!!! Only people of a certain age will understand that. He also presented Junior Choice on radio. All of which worries me a little. Ed Stewart was the guy who, when in his twenties or perhaps even thirties, had a girlfriend aged just 15. Something not right about that. Why was he allowed near anything to do with kids? I’m just saying. Okay, on to the other big story. David Bowie has snuffed it. His name originally was plain old David Jones [Plane-old? That’s a funny name. - Ed.] but in his pursuit of stardom, he changed it to David Bowie - pronounced ow as in cow, or is that ow as in blow? Some Americans even pronounced it as oo as in shoe; something to do with Jim Bowie, originator of the Bowie knife, or something. Anyway, pronunciation aside, Bowie never seemed to be satisfied with a particular look or style. He began his career wearing his hair long as was popular in the very early seventies; he did couple it with wearing dresses which was less popular. With men, anyway. He then had the hair cut short, so that he looked different to the long-haired style of the day. Then it was spiky. Then spiky with no eyebrows. Then short. Then... basically, his hairstyles were all over the place. Then there were the ‘personae’. David Jones begat David Bowie who begat Ziggy Stardust, then the Angel of Death, Hallowe’en Jack, Aladdin Sane, the Thin White Duke... I’m sure there were others. On Monday, his death was given the sort of news coverage one might expect if the Queen herself were to die. 20 minutes of each half hour news bulletin was reserved for the news that Bowie was dead. I don’t recall such news saturation for Elvis, or John Lennon. Why was David Bowie given such adulation? I have the answer [You would have. - Ed.]. In the early seventies, Bowie was the epitome (That’s a good word, I must look it up.) of cool and students of the day picked up on that. I am generalising by stating that, I know, but he was incredibly popular among the student population at that time. University folk like to be different (generalising again) and here was somebody different for them to follow. Very different. It would have really annoyed their elders that they identified with such a ‘weirdo’. Perfect. Now, where am I going with this? 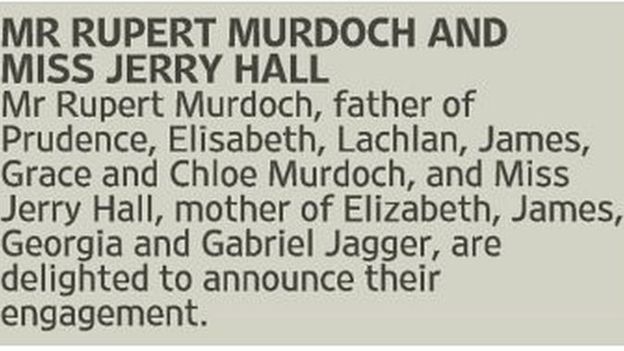 Take a look at the people who are now in charge at the Beeb Beeb Ceeb and other TV companies. They are probably now in their fifties; just the age to have made them students in the seventies. The reporters on Monday were not just coveying the news of Bowie’s death, they were mourning his demise themselves. For once, they were genuinely moved by the subject of their report. What was my own view of Bowie? I didn’t not like him (apologies for the double negative; that’s a no no in my book), nor did I like him. I agree he was completely different to anything that had gone before. However, in my opinion, he couldn’t sing for toffee. He had a style of ‘singing’ that was definitely not tuneful. Here’s something to consider though - If there had been no Bowie, would Gary Numan have made it? Simple Minds? U2? Suede? Do you get my drift? He paved the way for non-singers to have a go. More’s the pity. Now then, I think we should have a link to a Bowie toon, don’t you? 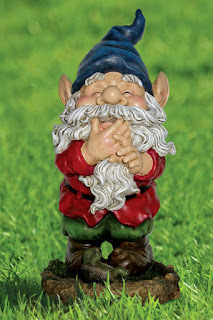 This being thegrambler.com, you are perhaps expecting me to give you the Laughing Gnome, a tune from the ‘I’m not sure how to go about being a famous singer so I’ll just do my best impression of Anthony Newley’ phase of his career and one which he tried his hardest to distance himself from. I think it would be wrong to dredge up such an embarrassing moment from his career. Totally wrong. Why would I do such a thing? Incidentally, in the late eighties or early nineties, Bowie went on a ‘greatest hits’ tour and asked his fans to nominate and vote for their favourite tracks which he would then build his show around. Annie Nightingale, a DJ of the time, encouraged everyone who listened to her show to vote for the Laughing Gnome arguing that, if Bowie was true to his word, he would have to sing it. He wasn’t and he didn’t. Laughing Gnome excepted, most of Bowie’s output was pretty dirge-like, depressing stuff. Space Oddity was not the cheeriest, nor was Ashes to Ashes. I have a ‘best of’ album of his stuff, but, frankly, it never gets played. And it doesn’t even have Laughing Gnome on it; that was a big hit, surely (Don’t call me Shirley.). However, there is one song of his, just one, which I play over and over and enjoy every time. It isn’t on his ‘best of’ and it never made the charts; I’m not even sure it was released as a single. It is from his Black Tie White Noise album. Ladeez and Genullum, I give you the rather upbeat Lucy Can't Dance . Rhys Bennett nodded in to give Dale hope after Gboli Ariyibi (Definitely cracking name of the week.) was sent off for a second act of simulation [Sorry pardon excuse me? - Ed. ], but the hosts were unable to find an equaliser. The Stags led when Chris Clements curled in a free-kick after Stevenage's Michael Tonge had earlier hit the post. James Baxendale doubled the lead on his debut by firing in from 20 yards. Armand Gnanduillet netted a consolation for Stevenage with the last kick of the game, tapping in from eight yards for his sixth goal of the season. The home side almost took the lead in the 18th minute when Jason Kerr's long-range hit the post. They did go in front just two minutes after the break when Kyle Wilkie's cross was headed into the back of the net by Nathan Austin. The visitors had chances to level things up in the second half, but they were unable to find an equaliser. Goals from Kris Faulds and Thomas Orr looked to have set East Stirling on course for victory. However Graham Webster and Greg Pascazio hit back to pull Montrose level. Aaron Comrie completed the comeback with just over five minutes to go with a powerful strike into the roof of the net to seal the win. So, after a shaky start, The Grambler’s predictions paid off. Three out of four ain’t bad [Wasn’t that a Meatloaf song? - Ed.]. Ahem. What has he/she/it come up with this week? 1034? What happened that year? King Malcolm II of Scotland died in battle at Glamis. Duncan, son of his second daughter, succeeded him. Not surprisingly, Macbeth, son of Malcolm’s eldest daughter, was a bit miffed. The rest, as they say, is history. Or perhaps not. The Duncan in Shakespook’s play was an old geezer, whereas the real King Duncan was a young man who was often advised by his older cousin, Macbeth. Strange that Macbeth didn’t advise him not to fight against Moray in 1040. Duncan was killed in action against the men of Moray, led by... guess who... Macbeth. Teaser time. Yay! Last week I asked a question relating to football rules. I asked what can a sub not do when he is brought on when play is at a standstill and why. He is not allowed to take a throw-in or a corner if either of those were the reason for the stoppage. Why not? Because he is off the pitch so has not, technically, entered the field of play. Of course. S’obvious now. What about one for this week? An FA Cup question for you. Who was the last English-born manager to win the FA Cup? And finally, Cyril? And finally Esther, I am at a complete loss as to how I could end this week’s edition of thegrambler.com. If only there was a novelty song associated with someone connected to this week’s article.... Wait a minute... No, I couldn’t. Not that. No, it isn’t in keeping at such a time of grief. Sod it. Ladeez and genullum, I give you the amusing (it says here) The Laughing Gnome .